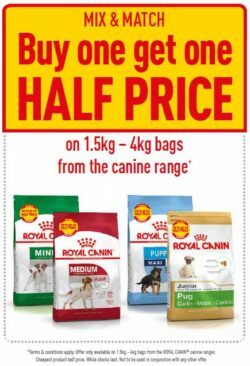 We have two deals which are both a ‘Buy one get one HALF PRICE’ and you will be pleased to know these are across the full dog and cat ranges which means you can tailor the promotions to the stock you sell in store. Select the images below to download the promotional sheets. If you have any questions, please contact your regional sales person who will be able to help. 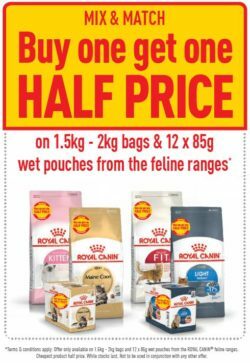 These offers are valid from Monday 23rd July – Friday 31st August 2018.